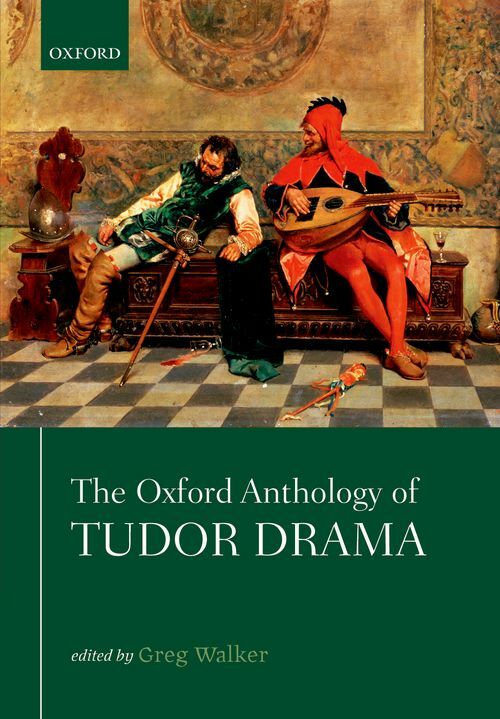 This anthology is the sister volume to The Oxford Handbook of Tudor Drama. It contains sixteen of the most important, innovative, and dramatically exciting plays from the long Tudor century (1485-1603) newly edited in accessible modern spelling from original manuscripts or printed texts. Unlike previous anthologies, which have tended to divide the period by selecting examples of only 'medieval' or 'Renaissance' drama, and so eliding the continuities between the two, this volume gives readers an overview of the whole period. For in reality 'medieval' plays such as the magnificent York mystery cycle and the interludes of John Heywood were being performed through much of the sixteenth century, alongside 'Renaissance' works such as the comedy Gammer Gurton's Needle and Jasper Heywood's English re-imagining of Seneca's tragedy of blood, Thyestes. Tudor audiences clearly did not share the assumptions of modern editors, who have seen the plays produced before the 1590s as 'primitive', didactic stuff, soon swept away by the genius of Marlowe and Shakespeare. They enjoyed all of the works printed here, some anthologised in a readily available collection for the first time, seeing in each of them elements of dramatic action, character, and emotional engagement that moved and entertained them. This anthology will allow modern readers to see why, offering a chronological arrangement of the best Tudor plays that allows them to see for themselves the ways in which the traditions and tropes that would characterise the Shakespearean stage were tried and tested through a century of innovation and experiment. With the riches of a century of Tudor drama before them in a single volume, readers and performers will be able to judge both what was gained in the long century from the 1480s to the 1600s and also what was lost as drama moved from the streets and halls of the early Tudor period to the professional playhouses of the Elizabethan age. Greg Walker is Regius Professor of Rhetoric and English Literature at the University of Edinburgh. He was previously the Masson Professor of English at Edinburgh, and before that Professor of Early-Modern Literature and Culture and Director of the Medieval Research Centre at the University of Leicester. He has also taught at the Universities of Queensland and Buckingham. He is a Fellow of the Royal Historical Society, the English Association and the Society of Antiquaries, former Chair of the Council for College and University English, a member of the Council of the AHRC, and the REF sub-panel for 2014. He has published widely on medieval and early-modern literature and drama. Most recently he published Reading Literature Historically: Drama and Poetry from Chaucer to the Reformation (Edinburgh University Press, 2013) and co-edited The Oxford Handbook of Medieval Literature in English with Elaine Treharne, and The Oxford Handbook of Tudor Drama with Thomas Betteridge.